January 3, 2016 — The Lifeboat Foundation Guardian Award is annually bestowed upon a respected scientist or public figure who has warned of a future fraught with dangers and encouraged measures to prevent them. 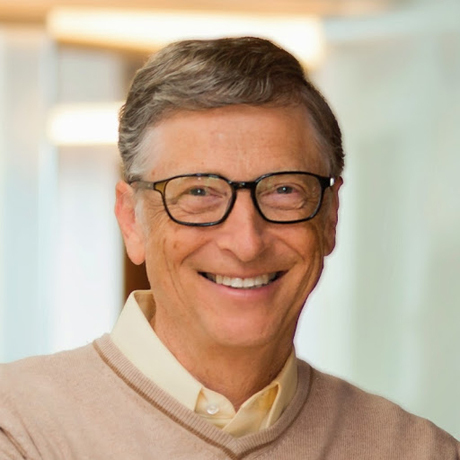 The 2015 Lifeboat Foundation Guardian Award has been given to Bill Gates in recognition of his fight against infectious diseases, his warnings about artificial intelligence, and his funding of improvements in education since a smarter civilization is one that is more likely to survive and flourish. Bill Gates has donated billions of dollars to help fight malaria, pneumonia, diarrheal diseases, and an array of parasitic infections. This includes working on the development of vaccines to prevent infectious diseases including HIV, polio, and malaria. He also recently committed $50 million dollars to contain the Ebola outbreak. Bill has repeatedly announced his goal to completely eliminate malaria. Learn more at https://www.gatesnotes.com/Health/Eradicating-Malaria-in-a-Generation. He also launched a network of sites across Sub-Saharan Africa and South Asia — known as the Child Health and Mortality Prevention Surveillance Network, or CHAMPS — which will track the ebb and flow of disease, making sure that vaccines and aid can be delivered where they're most needed. This network is planned to expand over time. The Bill & Melinda Gates Foundation is committed to ensuring that all students in the United States have the opportunity to receive a high-quality education. They have two programs that work in concert toward this goal. Their College-Ready Education program aims to ensure that all students graduate from high school prepared to succeed in college, and their Postsecondary Success program aims to dramatically increase the number of young people who obtain a postsecondary degree or certificate with labor-market value. Areas of intersection include practical approaches and policy strategies to better align K-12 standards with expectations in college-level courses.